A teardrop chestpiece easily fits under blood pressure cuffs. Excellent acoustics and total versatility from tunable diaphragms. Never miss a beat with tunable diaphgrams and a hand-built, stainless steel chestpiece. Featuring high-performance amplification, noise cancellation, and an LCD display. Try before you buy. 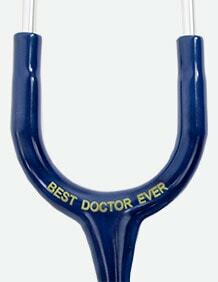 Take every opportunity to test out friends’ and colleagues‘ stethoscopes. Take note of features you love. 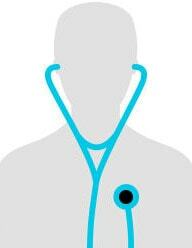 If you’re new to using a stethoscope, check out the Anatomy of a Stethoscope below. Test it out: What can you hear? Try listening to your own heartbeat. Seem louder? Yup, 4+ times louder. 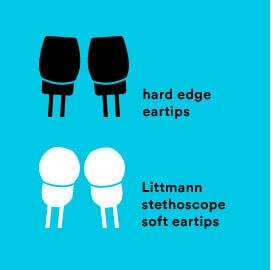 Tests conducted by 3M found sounds were over 4x louder than other stethoscope brands. Listen and compare. 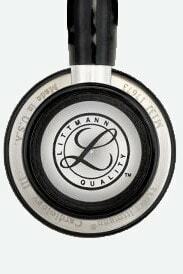 After you’ve tested out a Littmann try other brands, get opinions, and read reviews. TUBING: Hold the headset and let the tubing hand straight. You won’t find the kinks and bends you may see on other brands thanks to 3M flexibility. Sturdy yet lightweight construction that drapes around the neck. 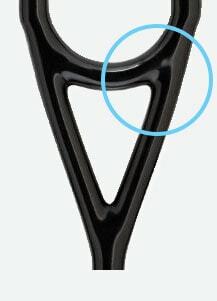 EARTIPS: See how they are perfectly symmetrical. Smooth, soft eartips for ultimate comfort. 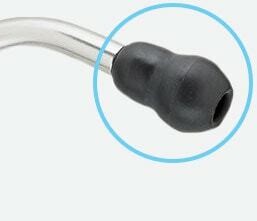 HEADSET: Easily adjust by squeezing for more tension or gently pulling apart for less tension. 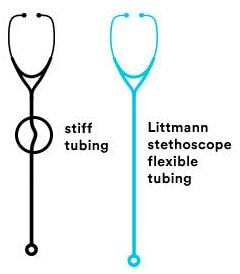 Don't Know Which Littmann To Get? 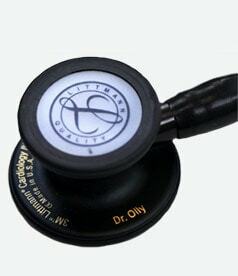 Add our laser engraving to the head or tube of your stethoscope - or both! 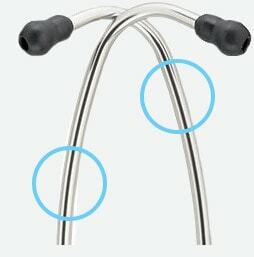 With the exception of electronic models, all current Littmann stethoscopes have similar components to the Cardiology III shown.